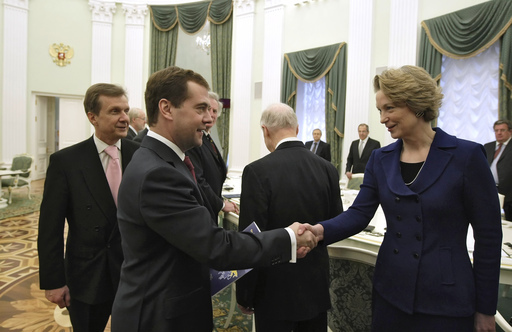 Last week I was one of a handful of Americans who met with Russian President Dimitri Medvedev at the Kremlin. As part of a bipartisan commission on US-Russian relations, we were given the opportunity to brief the Russian president on the task force’s findings. Co-chaired by former Senators Chuck Hagel and Gary Hart, the commission issued a report Monday, March 16 in Washington, D.C. which had already been briefed to US policy makers before the Moscow trip. The report outlines a set of recommendations for a new US-Russian agenda. Other commission members at the Kremlin meeting included Hart and Hagel, as well as General Brent Scowcroft, Ambassador Richard Burt, investor Hank Greenberg and project directors Dimitri Simes and Graham Allison. Russian Foreign Minister Sergei Lavrov also attended the meeting. During the hour-long session, President Medvedev was upbeat about the prospects of finding common ground on a range of issues. Washington’s overtures and its change in tone, he told us, were warmly welcomed. The trip and the commission were organized by the Nixon Center in Washington, D.C., and the Belfer Center at Harvard University. The effort, which began before the US Presidential election, took place over a number of months. Many experts beyond those on the trip met to discuss a new agenda for bilateral cooperation in areas where the United States and Russia can mutually benefit. On April 2, 2009, Presidents Obama and Medvedev will hold talks in London during the G-20 summit. Their meeting will take place at a time when the US economy is in deep recession and Russia’s economy is reeling from the global drop in oil prices, a liquidity and credit crisis and the de facto devaluation of the ruble. Industrial production in Russia dropped 20% in the month of February alone. During our trip, we were reminded that Russia is dependent on the United States to make strides in stemming the tide of the crisis. At the same, an article in The Moscow Times was also a stark reminder to us. It is in our vital interest that Russia, too, regain its economic footing. Reuters reported that many Russian firms will not be able to meet their debt obligations to foreign lenders. The Russian government announced that it will help these companies renegotiate their loans with Western banks–$500 billion in total, with $130 billion due this year. But with dwindling currency reserves the Russian government does not have the resources or apparently the political will to assume these corporate liabilities. While in Moscow, our delegation also met with a number of other key government figures. All were courteous, but it was clear to all of us that a great deal of work will have to be done to get this relationship back on track. 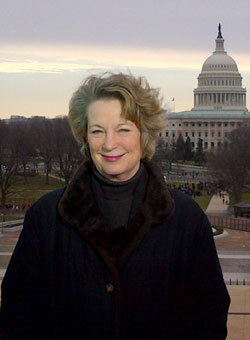 Susan Eisenhower has been deeply involved in US relations with that part of the world for over 25 years. In 1986, Ms. Eisenhower was co-chairman of the first open and televised policy debate in the USSR’s history and has been involved in bi-lateral nuclear and space issues ever since. Her most recent book is Partners in Space: US-Russian Cooperation after the Cold War.